Bạn có thắc mắc về Dublin Hilton Hotel à? 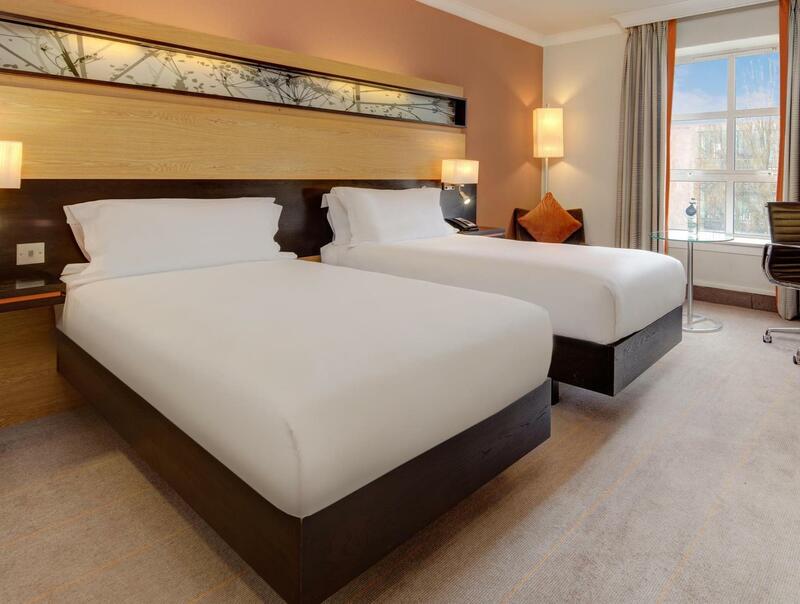 Tọa lạc ở vị trí đẹp của Trung tâm thành phố Dublin, Dublin Hilton Hotel hưởng được rất nhiều lợi thế trong văn hóa, ngắm cảnh trung tâm của Dublin. Chỉ cách sân bay 10 Km, nên từ sân bay rất dễ đi đến khách sạn 4 sao này. Với vị trí thuận lợi, khách sạn dễ dàng tiếp cận những điểm tham quan du lịch nổi tiếng của thành phố. Nhờ vào các dịch vụ và tiện nghi được đánh giá số 1, đã làm cho Hilton Worldwide trở thành nơi tuyệt vời đang chờ bạn đến trải nghiệm ở Dublin Hilton Hotel. Khách sạn này được trang bị rất nhiều tiện nghi hiện đại để nhằm làm hài lòng cả vị khách khó tính nhất. Bước vào một trong 193 phòng khách, bạn như rũ bỏ một ngày dài căng thẳng. Nhiều thiết bị tiện nghi trong phòng như phòng tắm phụ, nhà vệ sinh phụ, gương, internet không dây, phòng không hút thuốc. Khách sạn cung cấp rất nhiều phương tiện giải trí độc đáo như phòng thể dục. 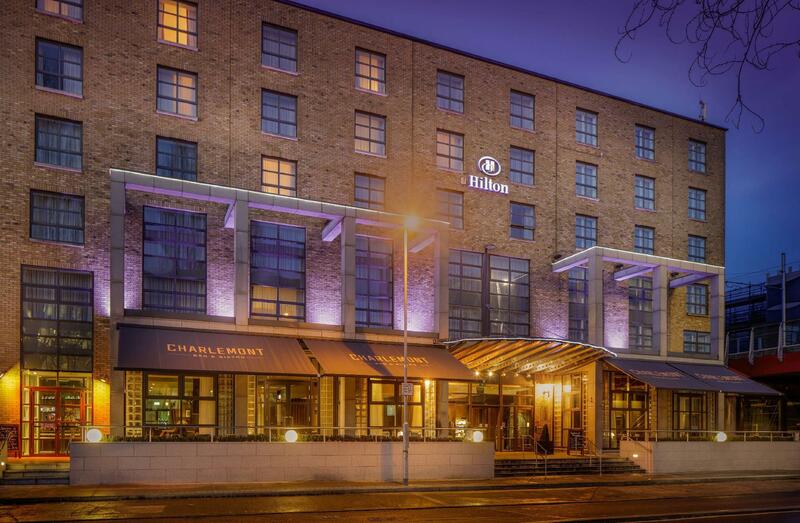 Hãy tận hưởng dịch vụ và vị trí tuyệt vời tại Dublin Hilton Hotel. 8 of us out to celebrate 3 friends 50th birthdays, despite arriving early morning staff got us our rooms early and left cake in the birthday ladies rooms. I can not recommend this hotel enough and the staff were fabulous. The restaurant and bar are nice. But the rooms where faded glory. Bathroom was really old. No mini bar (empty) and my colleaque got luggage from the former guest?! It is no 4 star hotel! It felt more like 1-2. Really really bad. friendly and helpful staff. Clean and comfortable rooms. Good location. It was a quick one-night stay before flying out. However, in that short time i found the staff at the front desk friendly, informative and eager to be of assistance. The rooms were well equipped, spacious and clean. It was easy walking distance to attractions and restaurants as well as public transport and within easy driving distance to the airport. I would easily stay here again. The three best things had to be the breakfast, hotel size (cosy and personal), and staff friendliness. We only stayed there for two nights as it was a weekend getaway but it was a great stay nonetheless. The location makes places like St. Stephen's Green accessible with a 5 minute walk. 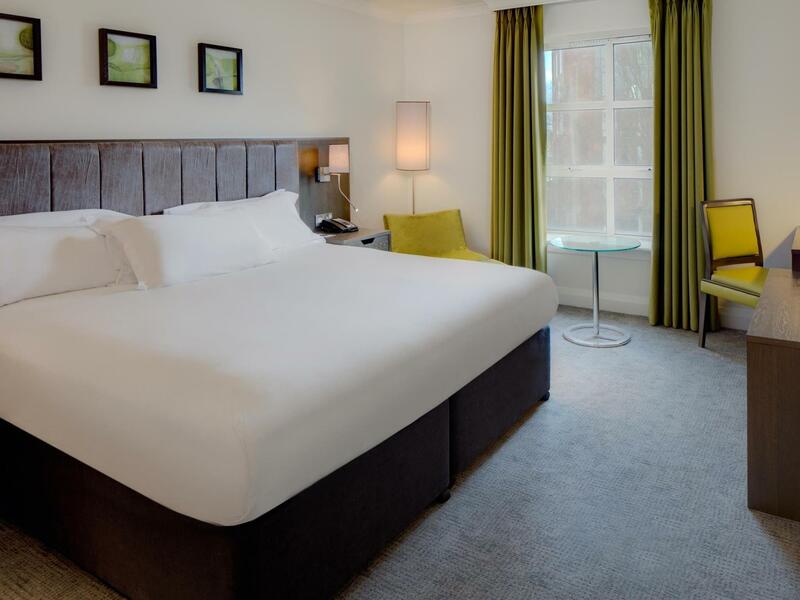 Located on a canal in a local part of town, you don't have to worry about the noise or experience the hustle and bustle of city centre traffic or tourists. We walked everywhere from here, the Guinness Storehouse being the furthest attraction 30 minutes away. 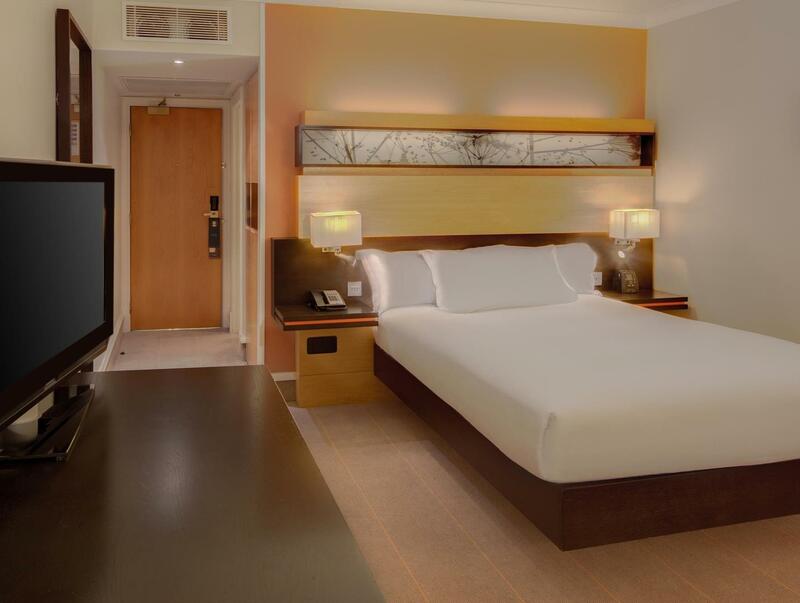 The hotel size was perfect, it's small enough for the staff to seem genuine and personal whilst attending to your needs, and big enough to get the amenities and facilities of a 4-star Hilton hotel. For the price of £80/night with the breakfast buffet included, you really can't go wrong. Old hotel that looks a little worn both inside and out. The room was a bit small but still had everything we needed. The lady on the front desk (duty manager? )was unbelievably friendly and helpful - great customer service. Only stayed one night, but it was just what we needed; a bed for the night whilst in the city. A very nice hotel, good value, in a very convenient location. It's close to the city centre (walkable, a short taxi ride, numerous buses, or even the tram right outside the door), but away from the noise and mayhem. It's located in an interesting part of the city, along one of Dublin's two historic canals (the Grand Canal), right in the heart of a very affluent and sought-after address in Dublin (Portobello). The canal is well-maintained, and walking along the canal (in either direction) is beautiful. 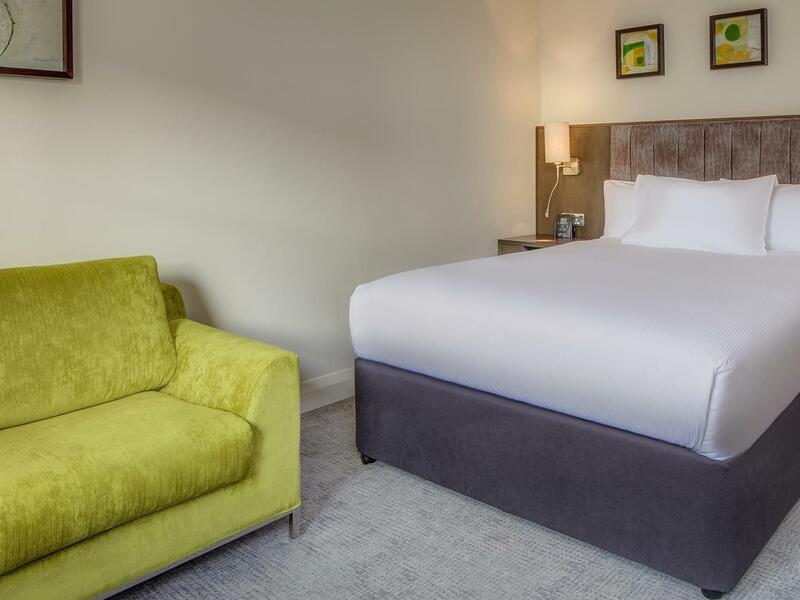 Apart from the hotel's proximity to the city centre, it's also very close to two great 'village suburbs' of Dublin (Ranelagh and Rathmines) which offer good dining and drinking options, and are nice to walk around. 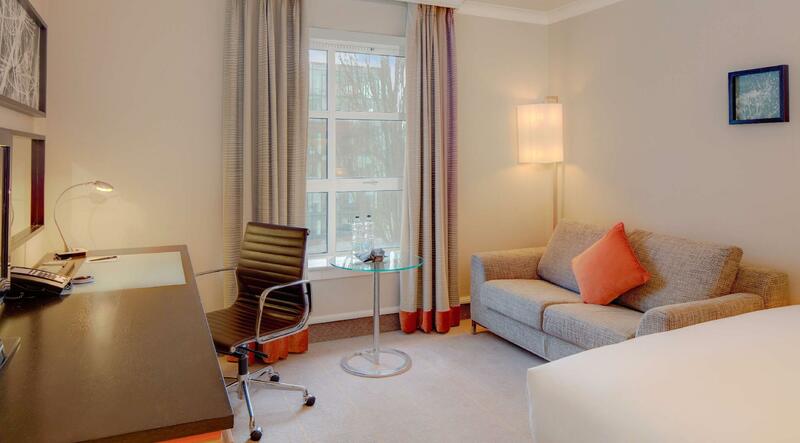 All-in-all, this hotel offers great value for money in a very convenient location. The hotel is very well located. It is close to city centre and right beside the Luas tram station. Our room was very comfortable, clean and fresh. While expensive, ( all Dublin hotels are expensive ) we enjoyed our stay in the Hilton. Our room was comfortable, clean and had a nice fresh smell. Breakfast was buffet style and was very good. Staff we're very pleasant and professional. I would stay again. This hotel is my favourite hotel in Dublin. It was usually too expensive for me but I took advantage of a recent deal for weekends. It is just perfect. Honestly. It's beautiful. It's next to the canal on a quiet road. It's 10 minutes walk from the city centre. It's next to the new train called the LUAS which is so convenient. The breakfast is just perfect, perfect. The food in general is excellent. The staff are excellent. This is the most perfect hotel I've ever stayed at. I love it. Rooms were good.Bar was excellent. O.K.but the staff did not appear to be knowledgagble of local facitilites. staff ok, price, & parking brilliant. never had any food so cannot pass comment, must arrive to breakfast with more than 10 minutes left, but having said that. not very accomodating i couldn't even get a quick bacon butty cup of coffee and take it into reception. had a busy day previous and tired slept in. good facility for parking fantastic that facility is open to when you leave. best asset clean rooms not well stocked on tea and coffee for a hilton. area outside the hotel, close proximity, resembled the "bronx". need a more central location really for our needs this time. a pair of ghd hair straighteners were left in the room by mistake, often happens. if i hadn't phoned up a day later to ask if they had been found, not a great response???? so i then phoned again the following morning, still no response, i started to ask questions and got through to manager. we would never have got these back. i had to refer my case to management who eventually looked into it. they found that the person cleaning the room had not logged the item as lost property, and failed to enter the hair straighteners into the lost property book. the person concerned in cleaning room was/were a "new starter". sorry no way, in my eyes, more likely to be some light fingered cheaply paid overseas worker, you seem to employ, out for personal gain and profit. my opinion and you have asked for it. so you get it, no holes barred. the least thing the manager did was post the hair straighteners to us, apologies accepted for "an oversight" ok. wifi not free in room ........ poor affair. car parking was the best thing thanks.